The original story is below the photo. We HAVE located her. I'm waiting to find out if she wishes to be identified here or not. She and Charlene are meeting now. Thank you again to everyone that helped spread the word. So I have to say after today, wit the floods of gratitude ive recieved over the pilger tornado, an seeing all the ppl helping, the generous donations of food an labor assistance, volenteers, the celebritys puttin the word out (Larry the Cable guy) an offerin their time an help (pausing on tour... Bret Michaels) speaks volumes!! Echos really! Im so blessed to even be a part of it but make me proud to be, not only american, but a NEBRASKAN!!! We may not have it all together but together we got it all, an clearly we can accomplish an overcome daily battles.... this is goin to be the basis on which I myself rebuild my life an what makes it even better is I know now, im not doin it alone!!! A friend of mine (Charlene) lived through the tornado in Pilger. Charlene was inside the local CO-OP/convenience store when the tornado hit Pilger. She suggested that everyone move to a different cooler...and, everyone who was inside the CO-OP lived. 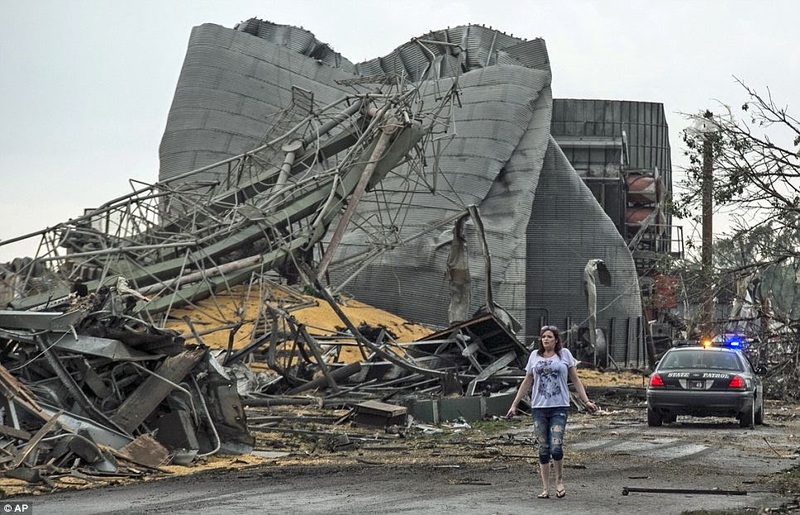 After the storm passed Charlene found comfort in this woman (in the photo above) who had seen the storm pass through Pilger...she was not a "local" woman...she was just passing through and stopped to help. Charlene, herself, was giving comfort to the sister of the young girl who died as a result of this tornado. Charlene is seeking the identity of the woman in this picture. If you know who this woman is or think some of your friends may be able to assist in identifying this woman, please share this post. Thank you. I will post this as a "public" post on Facebook on Charlene's wall and, on my Facebook wall as well. You can comment on Facebook or you can leave a comment on this blog.